In this part of my App Inventor video tutorial I make a App Inventor canvas game. The game is a simple paddle ball game. 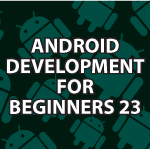 You’ll learn about image sprites, how App Inventor animation works and all the cool built in features included with AI. With Image Sprite, Ball and Canvas you can make some pretty nice games. I keep everything simple so that it is easy to understand. All of the blocks follow the video below. Click the image below a few times to view it full screen. You could try the free version of Visual Studio? your turorials realy i find theme very helpful . but my question to day has something to with the comments system like yours, i Have a site web and i want to let the user leave a comment but i want that I can reply the user’s comment singulary in the same box comment ,as you doing now Roni put a comment and you replied him in the same box anf if there’s another commenter he gonne just click the button reply and so on , a discussion grouped by a group of comments , can you help me on that.? 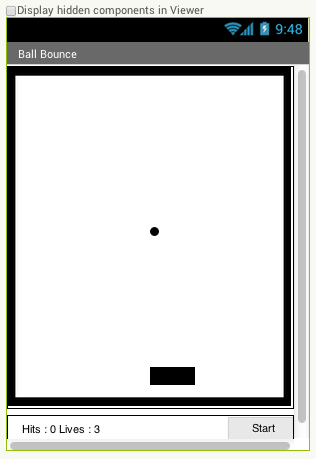 I am working on the Pong game app and I need the URL to find the necessary images. Could you let me have it in a reply, please. Hi Mike, Here are all of the images used in the app. I’d like to add 3 lives, and when ball touches the bottom, I want to lose 5 points and reduce a live. The lives can easily be added to by changing the value from lives to 6 instead of 3. To find out if the ball hits the bottom. Check the x and y position when it hits the wall.